Printing companies have helped pave the way for businesses, individuals and nonprofit companies. The products and services provided help to create announcements, sales slips, sell sheets, catalog and flyers that are used every day in business. The staff at our Pasadena copy shop has the experience and equipment required to produce these items and other modern items to allow a business of any size to increase both customers and sales volume. Investing in printing is a necessary investment. Trust and reliability are some of the traits of a professional printing company. Both individuals and business owners need a reliable partner for printing. The ability to ask questions, get advice and design help is important to the final outcome of any printing request. The staff at our Pasadena copy shop takes pride in the quality of our work and provides superior customer service to our customers. Our reputation and success is determined by the success and satisfaction of our customers. We provide copy and printing services to law firms, hospitals, restaurants, automotive dealerships, landscaping companies, advertising firms and average individuals. Quality printing is a requirement for both business and personal use. The staff at our copy shop in Pasadena treats each customer with the same level of respect and wants to exceed the level of quality and satisfaction for each customer. Our customers depend on high-resolution copies and reproductions and we deliver the expected results. 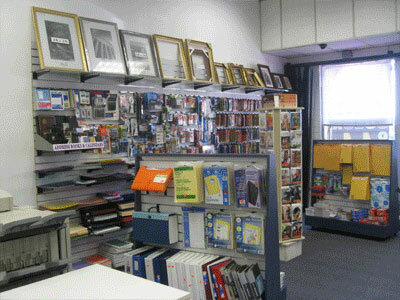 Services provided by the staff at our copy shop Pasadena center include full color printing, custom t-shirts, promotional products, photo to poster enlarging, postcards, flyers, brochures, business cards, legal forms and office supplies, black and white printing, photos for passports, oversize copies, copying and book binding, graphic design, letterheads and envelopes, mousepads, presentation folders, full color signs, laminating and mounting, calendars, magnetic calendars, roll-up banners and custom banners. These services are perfect for personal, business and nonprofit use and distribution. Printed documents and products are used in many industries. These items can be used to generate business, create awareness, advertise or can be sold to the public. All of these uses have one thing in common. A high quality print is essential for creating a memorable and attractive product. The staff at our Pasadena printing shop has the equipment and skills required to produce professional printing products that are designed to get attention from clients, supporters or customers. The digital revolution has changed the printing industry forever. The high quality and high-resolutions that are now available are allowing any person the ability to compete in a more professional way for reduced costs. The staff at our Pasadena printing shop specializes in digital printing technologies and provides a variety of printing services to meet the needs of any personal, private or nonprofit use. This creates more competitive pricing and can easily fit into the printing budget of any customer. An industry standard printing job starts with knowledge and professional equipment. The process is furthered by excellent graphics, correct file formats, and error-free specifications that are combined to produced expected results. Our printing shop in Pasadena has a team of professional employees that care personally about each project and work hard to satisfy customers. Our solid reputation was built with high quality prints, designs and customer service in the professional printing industry. Our ordering process has been created to make placing print and copy orders easier. Any order can be placed by using our website, by ordering over the phone, or by coming to our printing shop Pasadena center. Your submitted order will be double checked for accuracy before being approved for production. The finished print or copy order can be picked up by our local customers or shipped promptly to any location that is specified in the order details.